WIR-39-AtticDrawers — ReNü Engineering Inc.
One of the last major construction items to be finished before move in is the built-in drawers & wardrobes along the West side of the attic, making use of the low ceiling area. 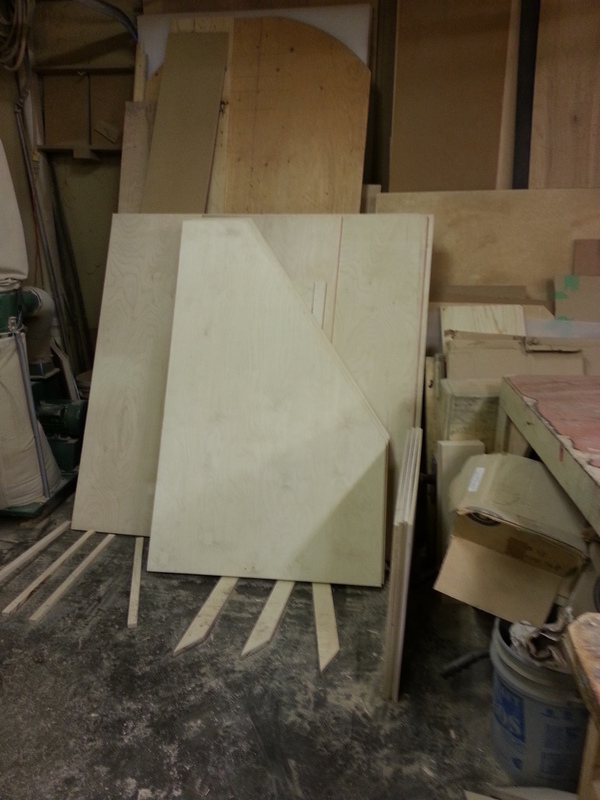 Huge thanks to Peter Amerongen for some sketchup design-work and the use of his woodshop! 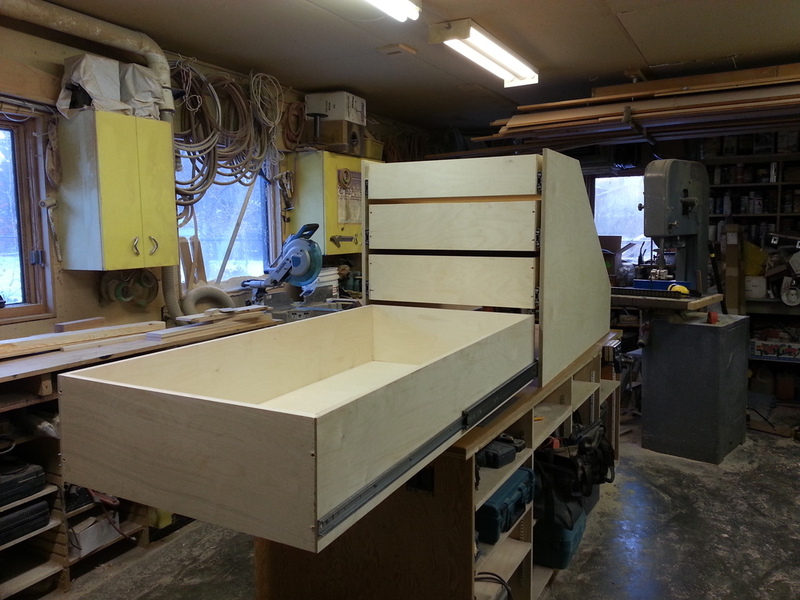 We're using Baltic Birch plywood and Hettich sliders. 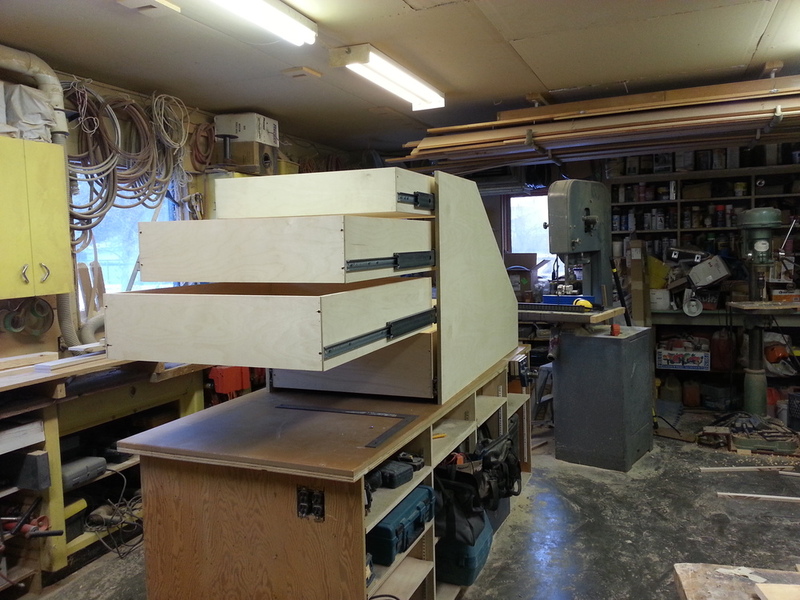 We decided to make the max use of the space, so the bottom drawers are 5ft deep! The sliders are rated for 500lbs at full extension. 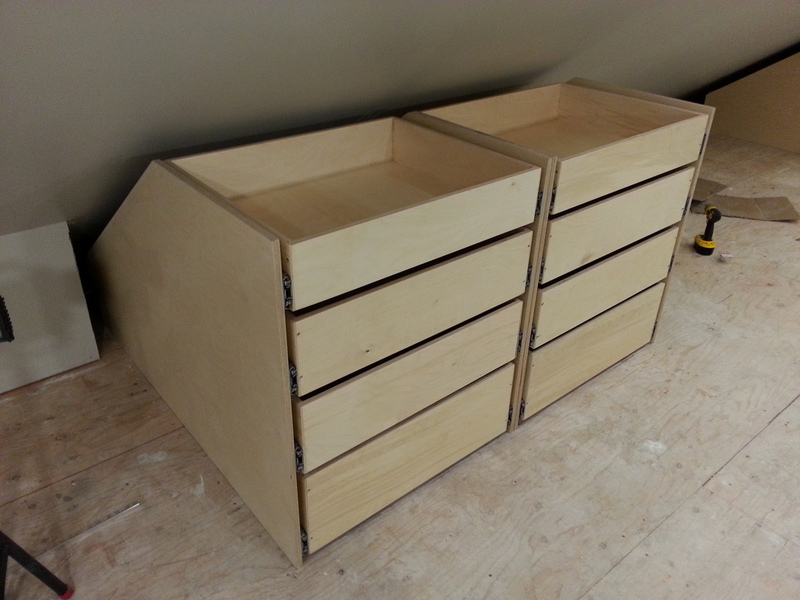 Here are some progress photos of the drawer modules. 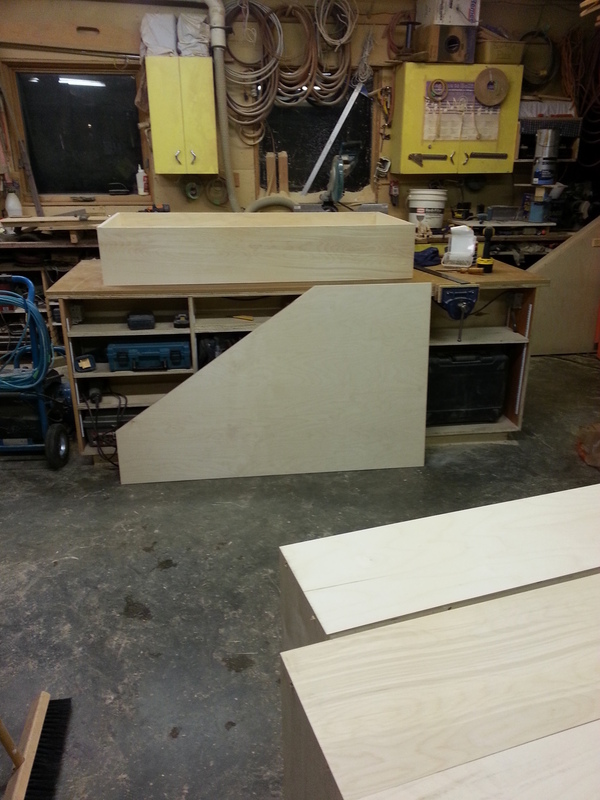 These will be followed by two wardrobe pull-outs, and then stained drawer fronts, wardrobe doors, and trim work.